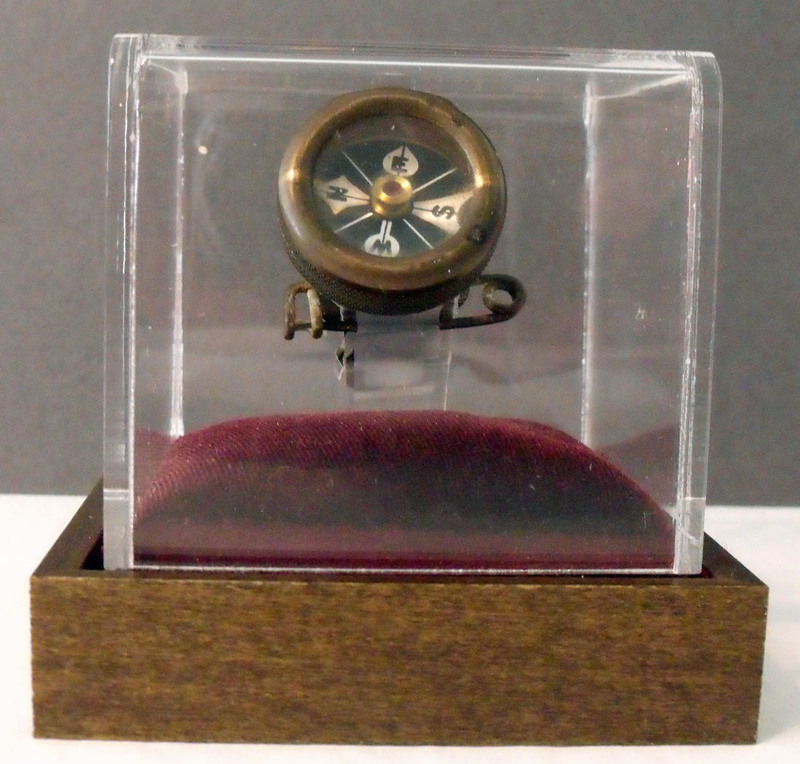 This particular compass was used by Janus Crossett Shonio of Waterbury, Vermont, USA. Mr Shonio made particular use of it when he travelled from Waterbury to Burlington in an effort to obtain assistance for the people of Waterbury during the Great Flood of Vermont over the period 4 – 6 November 1927. His journey took him over the Camel’s Hump, through Richmond, where he was joined by others. It is uncertain how long the journey took. Mr Shonio’s daughter, Marjorie, lived in Waterbury with her husband Robert Arkley until his death in September 2012. Marjorie lives in a retirement home in Burlington. 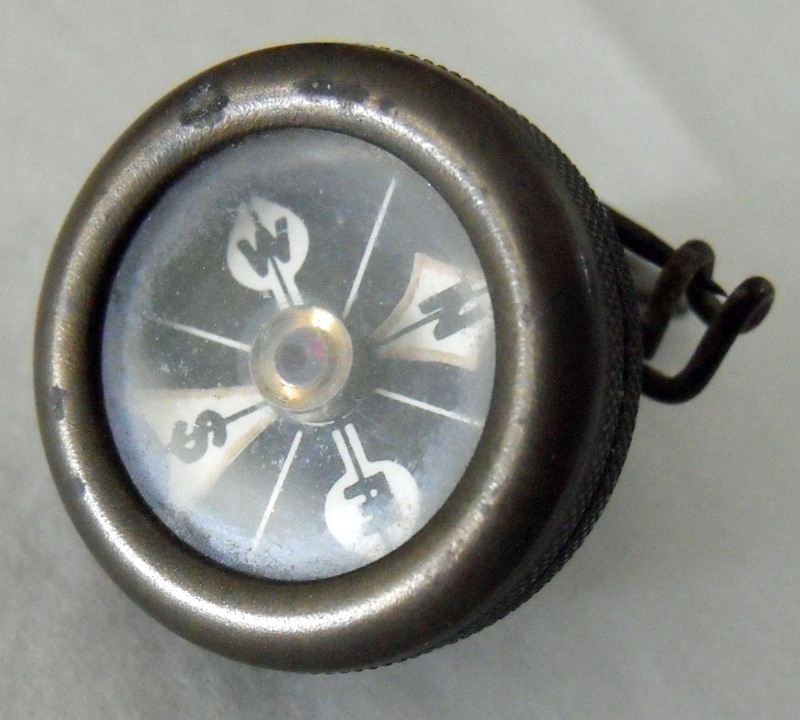 Our customer, a good friend of Marjorie and Robert, was given the compass during one of his visits to Waterbury. In an effort to retain the authenticity of the compass we agreed not to polish the metal. 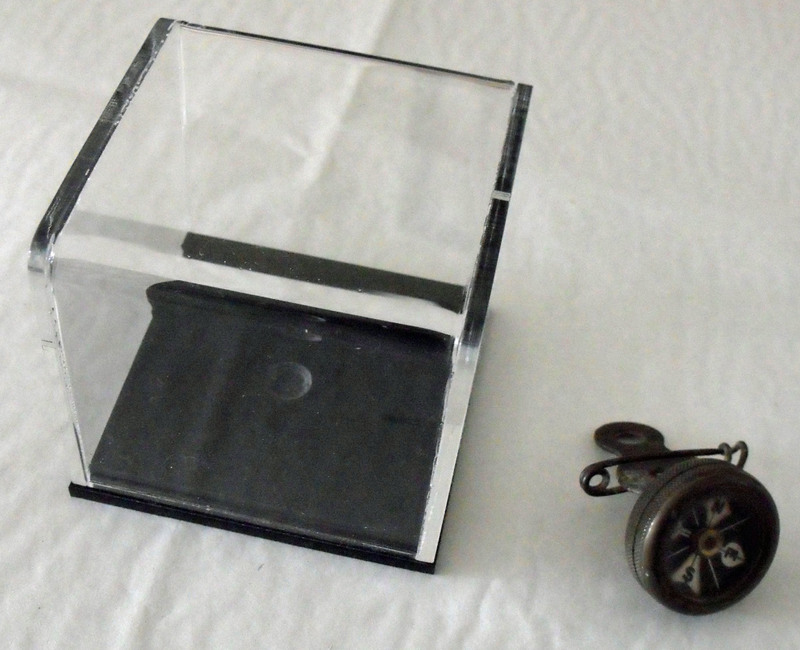 A small mounting bracket was cut and shaped from 2mm thick acrylic and attached to the base of the display case. 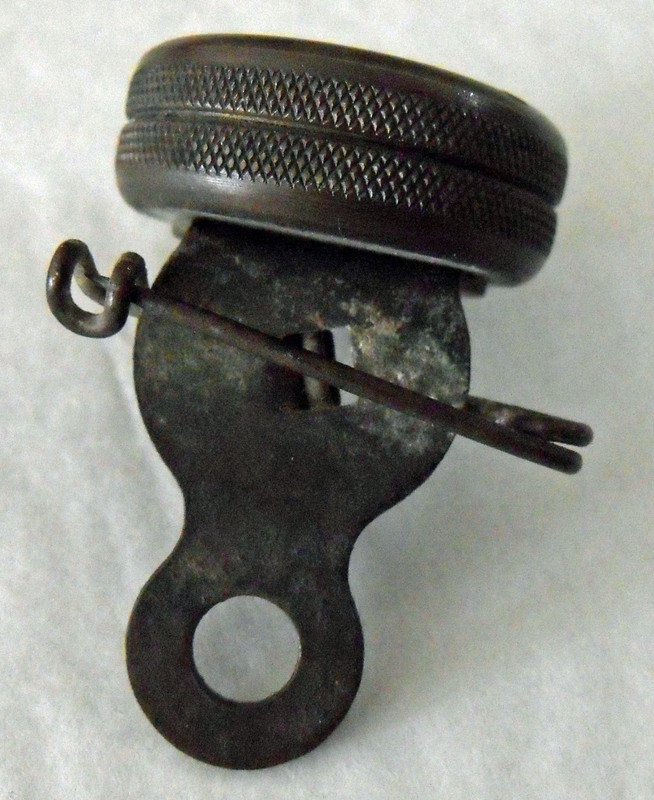 The compass slides over the bracket through the fixing pin and held in place with archival polyester strips. Some padding was added to the base and covered with velvet. 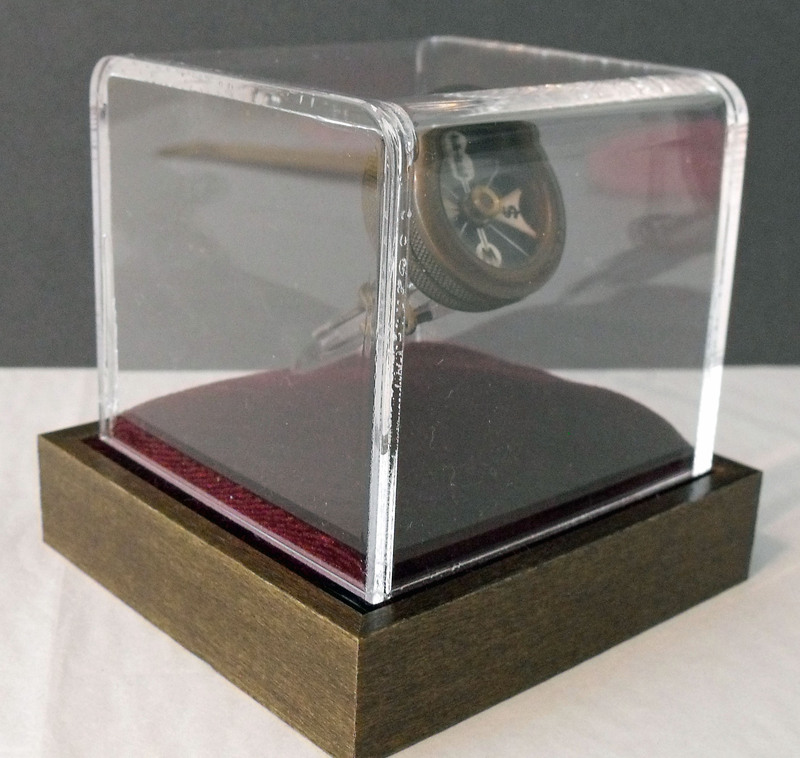 To provide a little height a small wooden plinth, made from a simple frame moulding, was added. Now, instead of sitting in a drawer, this small display now has pride of place on the mantle!